Mr Linzey has been our Maths Subject Leader since September 2017. Mr Linzey is responsible for the provision of Mathematics across the school as well as supporting teachers to achieve the best possible pupil outcomes. Mr Linzey is an advanced teacher and is a member of the school’s wider leadership team. He brings with him a wealth of experience to his role. At Blenheim Primary School, we use a mastery approach to teaching mathematics. We achieve this through the use of Inspire Maths – a NCETM approved scheme of work. It is a whole-school primary maths programme that provides our teachers everything they need to plan and deliver a mastery approach to teaching and learning mathematics. Through the use of this scheme – coupled with quality first teaching – we aim to meet and exceed the higher expectations set out in the 2014 National Curriculum. Inspire Maths is based on the leading Singapore Maths series ‘My Pals are Here’, used in 100% of Singapore’s state Primary Schools. It works by using accessible pupil textbooks to introduce concepts in a highly scaffolded way, enabling all children to develop critical thinking skills, make mathematical connections and become confident mathematicians. Inspire is a sustained and consistent scheme with a carefully designed spiral progression and an emphasis on a concrete-pictorial-abstract approach. At Blenheim Primary School we strive to ensure that all of our children receive a high-quality mathematics education that ensures that they are fluent in the fundamentals of mathematics, can reason mathematically and can apply their knowledge and understanding to solve problems of increasing complexity. 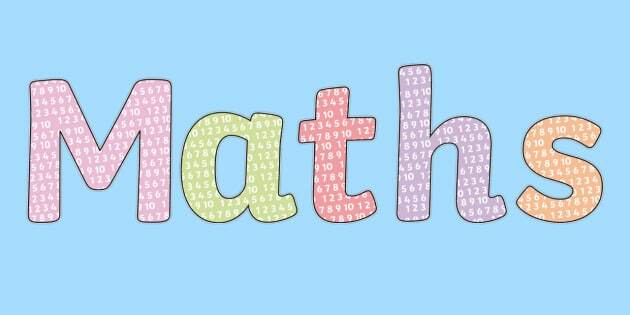 We encourage and provide opportunities where children can really grapple with mathematics and demonstrate their understanding confidently through a variety of methods and manipulatives supporting the concrete-pictorial-abstract approach to teaching mathematics. The large majority of children work through the programmes of study at broadly the same pace. This demonstrates our commitment to closing the attainment gap and ensuring that no child is left behind in the progression and development of mathematical concepts and understanding. We use additional afternoon sessions, led by confident and knowledgeable classroom teaching assistants to help those children who found taught concepts within their usual Maths lessons tricky. These sessions enable children to consolidate their understanding before their next lesson so that they face each new lesson with a degree of confidence in their own abilities. We have high expectations of every child and are committed to delivering a broad understanding of the mathematics curriculum that challenges all children to widen their understanding of taught concepts through challenge and perseverance.